The following is a selection of graphic and package designs for the Maastricht and de Rupel glass factories. 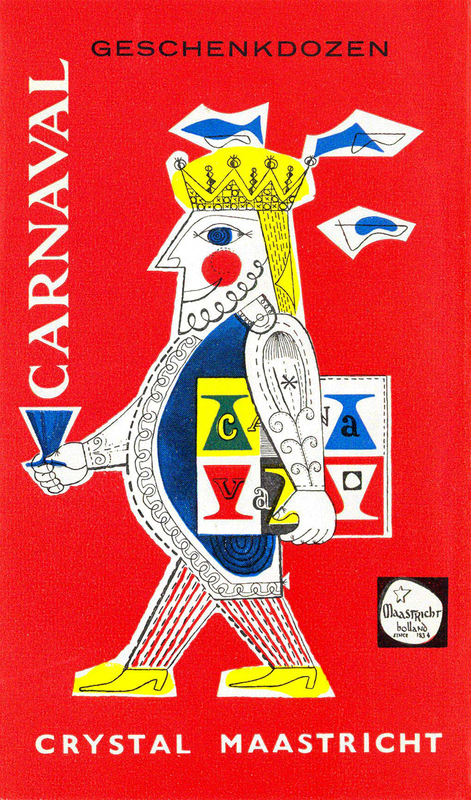 Brochure cover for Maastricht's 1958 "Carnaval" range. 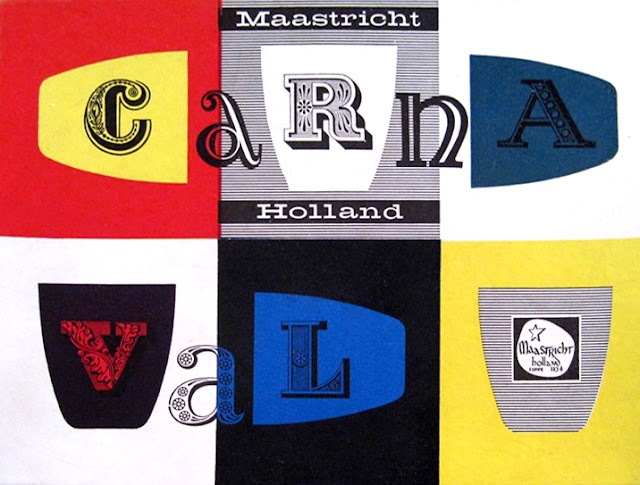 Inspired by the success of Homer Laughlin's multi-colored ceramic fiesta-ware line, Max Verboeket designed the "Carnaval" range of colored glassware for the Dutch glass factory Maastricht in 1956. Above is one of several package designs, created by Maastricht's in-house graphic designer Ger Huntjens for the "Carnaval" range; earning him the "Gouden Noot" award for best packaging of the year in 1958. 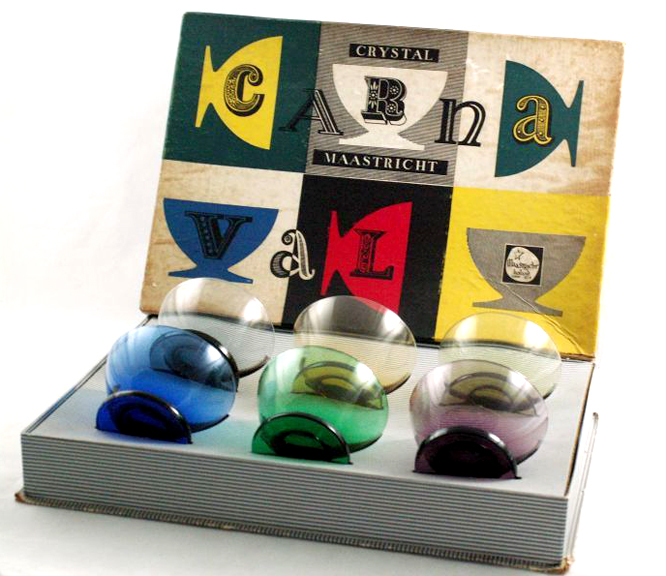 "Carnaval" glass box set; one of several variations designed by Ger Huntjens. 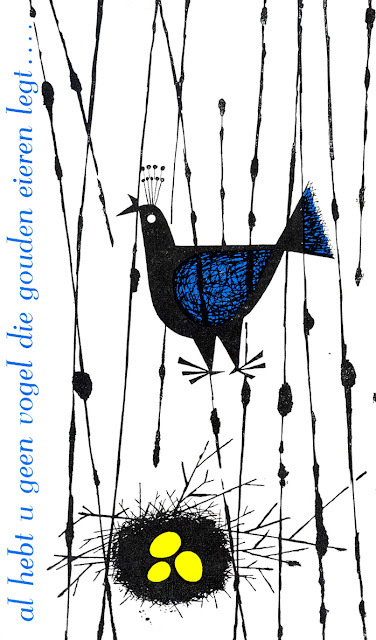 De Rupel (1925-1971) glassworks was located in the small town of Boom, Belgium. 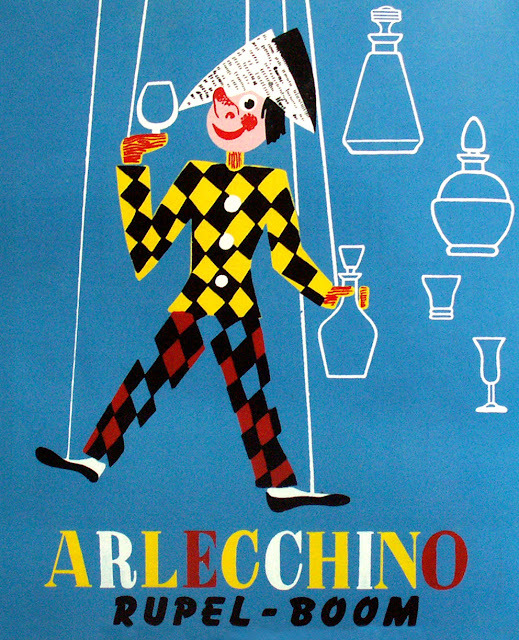 They began producing the "Arlecchino" line of colored glass fiesta-ware in response to the success of Maastricht's "Carnaval" line. Images are via Hogelandshoeve, who specializes in vintage Dutch and Flemish glass.